Squash is more than a front porch decoration placed alongside pumpkins and gourds. Acorn squash can be roasted with maple syrup and brown sugar; butternut squash can be baked with apples and Gorgonzola; and cooked spaghetti squash can be topped with stewed tomatoes and Parmesan cheese. 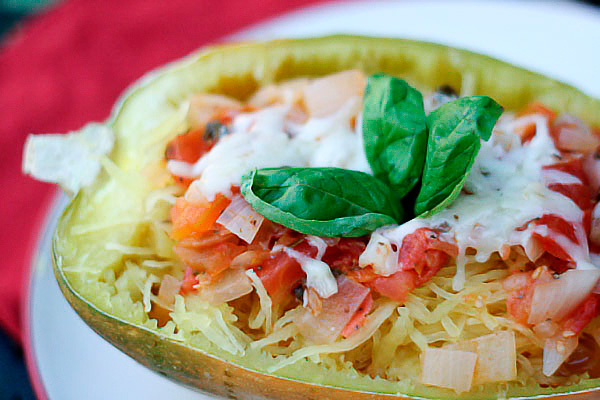 Spaghetti squash is a healthy alternative to traditional pasta. It’s low in calories and high in folic acid, potassium, vitamin A, and beta carotene. It’s also incredibly easy to prepare. Simply pierce the squash several times with a fork and microwave on high for 10 minutes, flipping it halfway through the cooking process. Allow it to stand and cool for 5 minutes. Then cut it in half lengthwise and scoop out the seeds and pulp. Next, using a fork, scrape the insides of the squash into strands that resemble noodles, and place them in a separate bowl. Now you can add whatever complimentary ingredients suit your fancy; we like stewed tomatoes. Add one layer of stewed tomatoes and Parmesan cheese to the empty shell, top with “spaghetti,” and repeat. Scoop remaining tomatoes and cheese on top and garnish with basil leaves. Then dig in! What’s your favorite culinary use for squash? Sauté onion and garlic in oil over medium heat. Add tomatoes and herbs. Simmer for at least 20 minutes. While the sauce is simmering, cook the squash. Pierce it several times with a fork and microwave on high for 10 minutes, flipping it halfway through the cooking process. Allow it to stand and cool for 5 minutes. 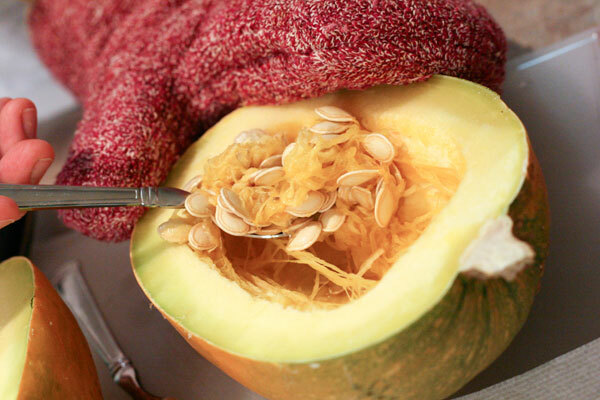 Cut squash in half lengthwise and scoop out the seeds and pulp. 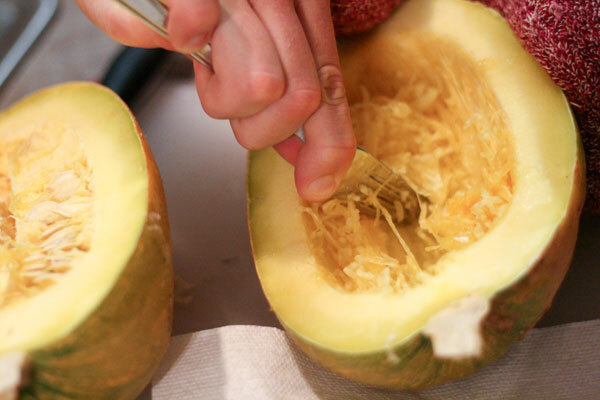 Using a fork, scrape the insides of the squash into strands that resemble noodles, and place them in a separate bowl. Add one layer of stewed tomatoes and Parmesan cheese to the empty squash shell. Top with “spaghetti.” Repeat. Scoop remaining tomatoes and cheese on top and garnish with basil leaves. Thanks for showing me how to get my spaghetti squash spaghetti-y… I never knew what to do. I love squash in everything – in risottos, roasted paired with meat, on pizza, in popovers – you name it! Very nice use of the shell in your recipe, Emily. I like it, simple (i.e. quite doable) yet elegant. This blog is simply a must-RSS. If someone is planning a dinner party, this is a great place for ideas. If you don’t want to save the shell, the regular oven gives it a bit more flavor (ESPECIALLY the browned part – tossing that is like tossing the brown bits before pouring wine for a pan gravy). I am a big fan of winter squash, and as someone who has a large cook’s garden, winter squash are the queens of our garden. As I tweeted you yesterday, there are SO many varieties: http://rareseeds.com/cart/catalog/Winter_Squash-95-1.html. And they are part of cuisine around the world. That brings me to my first use of winter squash – soup! Pumpkin soup, butternut squash soup, etc., many varieties do well here. In fact, many cuisines have pumpkin soup – French, Jamaican, and Thai are three examples. To learn how to make this amazing soup that has many personalities, I recommend doing some google exploring. The next use is stuffing. You can stuff all sorts – acorn, for example. 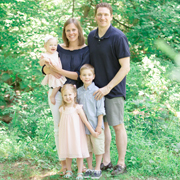 WeI grow Jack Be Little pumpkins – you know those little pumpkins you see at the store? Well, I stuff those with ground turkey, rice, finely diced onion, all mixed with a bit of tomato juice, salt, pepper, plus a dash of nutmeg to give it that you-know-what-I-mean-but-can’t-quite-describe fall flavor. Finally, you all know that you can eat roasted pumpkin seeds, but did you know you can also roast and eat any other winter squash seeds? Nutrition packed, they are great by themselves, in salads, and if you make a sauce with them, that sauce over chicken is just out of this world. In fact, save those spaghetti squash seeds for this! Wow! Thanks for all the great info, Jamie. Pumpkin soup is on our to cook list. And I love the idea of stuffing mini pumpkins. Much as I love all manner of winter squash, I tend to avoid cooking them because of the sheer effort required to cut them open. (Does that make me a total weakling??) But your recipe looks simple and delicious, and I may just have to give it a try! Okay. I admit it. Nick cuts the squash! But it’s so worth it, I’d do it if he wouldn’t. This looks so yummy. We made spaghetti squash last year and didn’t quite enjoy it. I think we need to try it this way. Looks pretty quick too! I think our favorite squash is the buttercup squash – best flavored squash in my opinion. Topher’s mom and dad grow it in their garden and they love to share with us. It’s good with a little butter. I’ve been wanting to try spaghetti squash for a long time. This looks awesome!